Father is a heroic term we all are used to and aware of. The word seems to be small but their is lot hidden behind it. Father the heavenly figure we rely on right from our birth. Being Dad is not an easy job not at all. I remember a beautiful song that I heard long ago, "Papa tum sab sehte ho humse kuch nahi kehte ho". Isn't it a beautiful song? Indeed it is. Mother is the one who takes care of a child and nourishes it with all she has but the fact is that it is the father who takes care of the mother too. We all have few sweet memory that we share with our father and we cherish them throughout our lives and drain mental strength out of it when needed. So unlike others I too have my own world where I have kept my memories safe and secure. It doesn't seems very long although decades have passed by and yet I feel it was yesterday. I am my parents second child and was completely a daddy's girl. You know it is always a Mumm's Boy and Daddy's Daughter and so was the case with me. Dad was so very found of picnics and holidays and we always had a gala time together. It was a summer vacation and we planned for a picnic by the lake or to be correct mom and dad decided to have the picnic by the lake which was just a few mile away from our house because I was too young to make any such decisions then. We were so exited because oh the picnic and especially for the lake side adventures that we were going to have. My dad is a great swimmer and he loves the water but that day it wasn't about swimming because dad had a surprise for us. As we reached the lake dad broke the ice and told us that we were going fishing today. I was on the seventh cloud because I never had a chance before all I ever heard was stories of fishing from my dad. My dad is a fishing expert and he loves fishing. We went for fishing that day and it is one among the most cherished moment of my life. 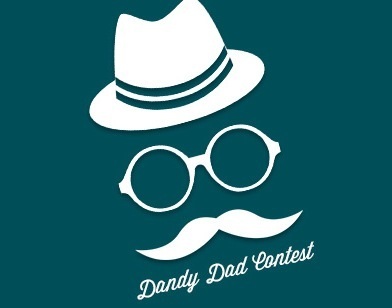 This fathers day I would love to gift my #dandydad a denim shorts, funky t-shirt, casual shoes, a cool shades and a hat from http://www.jabong.com/ and would love to go fishing with him again.